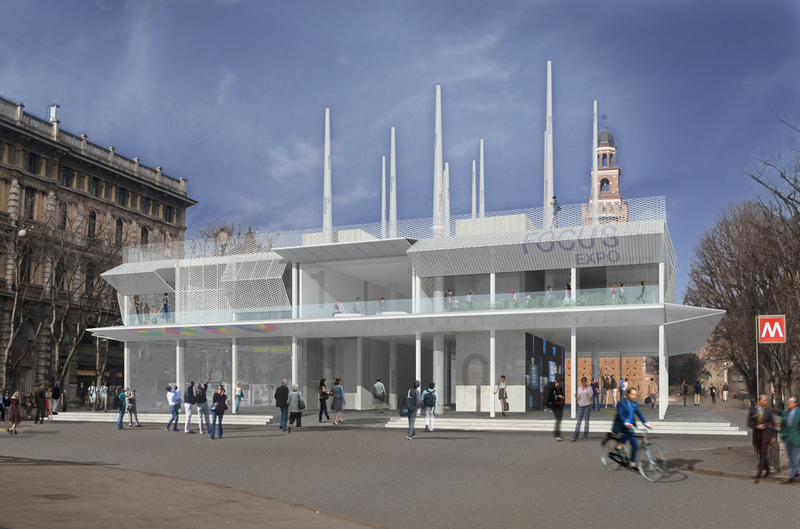 Going beyond the concept of division between interior and exterior, FocusExpo is a crossing agorà in all its dimensions, thought as a place open to a dialogue with the public and that can be added to the context. It’s a “scenic machine” and an evolving organism. 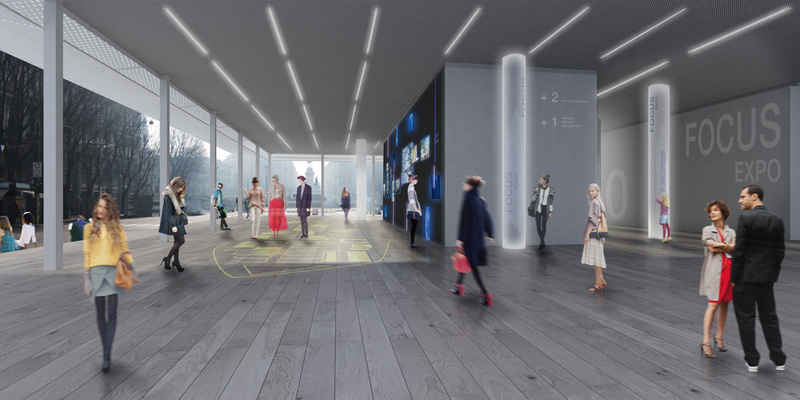 The active skin around it moves continually modifying the outlines and the perception of the whole architectural volume. Long vertical elements cross it at all levels, until they stand out over the coating and become the connecting and generating throbbing lymph of the narration. A balanced active organism, able to live and adapt to the evolution of the needs along the days and the seasons, always maintaining a very strong identity of message more than of shape. A unifying architectural sign between the culture and the story of a place and the uniqueness and innovation of the event. 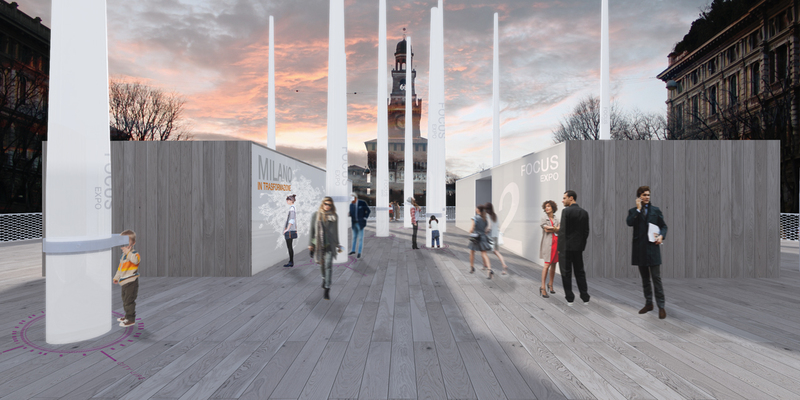 A new door for a city that changes and renovate, FocusExpo is a real portal of communication, information and experience. Recognizable, immediate and sustainable, it becomes a landmark and a reference of light for the city. 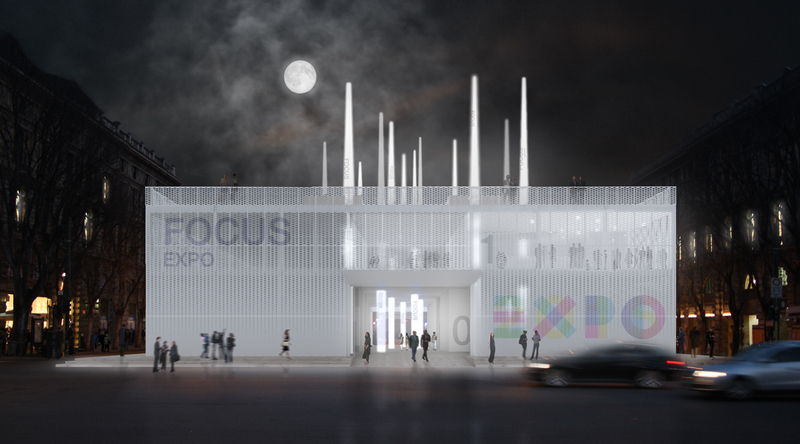 Going beyond the concept of division between interior and exterior, FocusExpo is a crossing agorà in all its dimensions, thought as a place open to a dialogue with the public and that can be added to the context. It’s a “scenic machine” and an evolving organism.